The stage was set, kick off delayed by 15 minutes at the Gallagher Stadium which only increased the anticipation for the Kent Senior Trophy Final. Chatham made up the majority of the crowd filling one end and much of the main stand while we took over part of the opposite stand. Small in numbers we were defiant, loud and proud knowing we had just as good a chance to take home the trophy as they did. As has been the case for much of the season we started the game on the backfoot with Chatham in control for the majority of the first half and threatening to score with every attack. Michael McEntegart kept us in the tie with some big saves along with bodies being thrown in front of the rebounds. The Becks attack was feeding off scraps all half and the closest they got was Luis Medina’s near post header midway through the half which went wide. The second half saw Chatham pick up where they left off with Jon Pilbeam bending his shot towards goal but luckily for us it just clipped the top of the crossbar. Five minutes into the second half we feared the worst as Nathan Daly took out Jon Pilbeam in the box who was running in on goal. The attack stemming from not committing to the loose ball in the opposite box allowing Chatham to counter quickly. Paul Vines spectacularly skied the penalty and the score remained 0-0. Bringing Joe Healy on helped us get into the game more and we were definitely the better side for the rest of the half. With fifteen minutes left the referee waved away our penalty appeals. A few minutes later Joe Healy fizzed a ball from the left byline across the six yard box but the chance went begging as Richard Atkins couldn’t get a touch on it. Atkins then then had a chance himself choosing to shoot early before the defender was able to put a tackle in but he didn’t catch it right and it swerved away from goal. Luis Medina had his shot saved almost on the line which meant the game would head into extra time. We had the ball in the back of the Chatham goal just two minutes into extra time from a long throw in delivered by Nathan Daly from the right but it was disallowed because nobody got a touch on it and the celebrations were cut short. 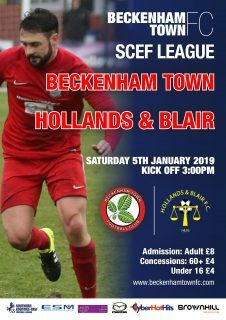 It took 100 minutes for the first goal of the game and unfortunately it came after Michael Hagan showed great composure in front of goal to eventually send the ball flying in to give Chatham the lead despite the keeper getting a touch on it. 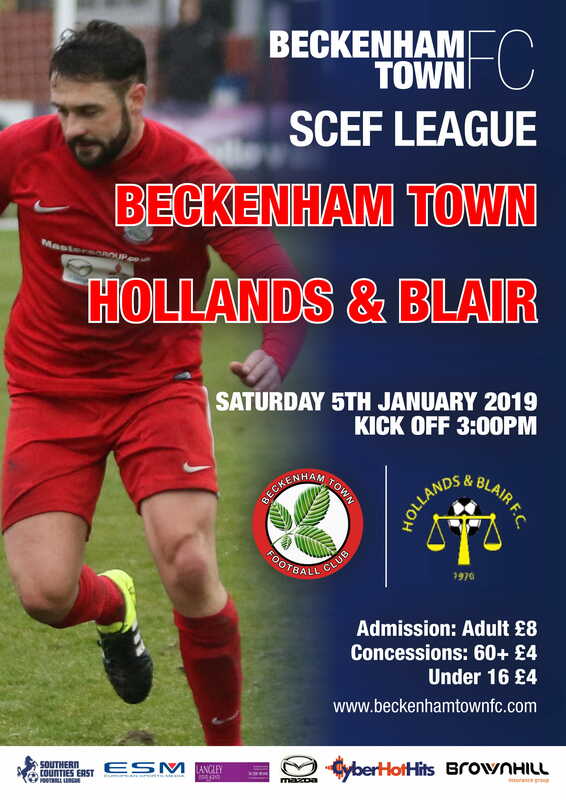 Becks put the ball past the Chatham goalkeeper for a second time with five minutes left after a ball over the top allowed Billy Bennett in one on one with the goalkeeper and he confidently struck it into the back of the net. However, we were once again denied by the officials this time for an offside despite all of us feeling adamant that he ran past the defender to collect the ball. There was just enough time for Chatham goalkeeper Dan Ellis to leave his mark on the game as he made a very impressive double save, first from Richard Atkins and then getting a strong right hand to Billy Bennett’s follow up in the last moments of the match. Becks put in a valiant effort and were the better team for much of the second half and extra time but unfortunately a couple of key decisions not going our way coupled with missed opportunities and their goalkeeper making some good saves saw us finish up as runners up. There’s always next year.